See answers to common questions. Have a question that you can’t seem to find the answer for? Get in touch, we’d love to help. Why don’t you have a commercial pricing sheet? We try to be as transparent as we can about pricing but the truth is that every property has unique needs and issues. We try to match your exact need with our services. We build our services custom to you. We don’t want to give you services that you don’t need and make you pay for them. And we don’t want to leave out services that you really need. 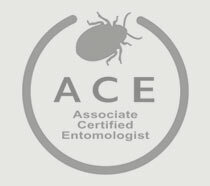 Why do we wait 1-2 weeks between some services like cockroaches or bed bugs? Generally we need to wait just a little time in between services to let the products work. Then we can follow-up with an inspection and see what is happening and where treatments are still needed. If you are in a situation where you cannot wait, like an empty apartment unit that needs to be rented, please let us know and we will do everything we can speed things along. How do you decide when to recommend bed bug heat treatments vs chemical treatments? 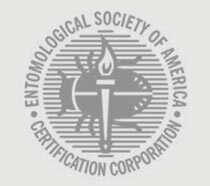 How severe is the bed bug infestations? How widespread is the infestation? How difficult would chemical treatments be? How much stuff is in the infested areas? What is the construction of the building? After assessing the situation and answering these and other questions, our bed bug experts make their recommendations. We are always happy to discuss alternative treatment methods or why we are recommending one or the other. And just FYI, our bed bug experts do not receive any commissions, bonuses, or compensation of any kind for what treatments they prescribe. They make a salary for performing quality inspections and assessments. What do the tenants need to do to prepare for treatments? We have designed all of our treatments to require very little to no preparation. We know that often tenants struggle to do the recommendations so we had to design services that worked regardless of cooperation. Why don’t you charge tenants directly for services? We generally do not charge tenants for pest control services but charge the property. We service tens of thousands of apartment units every year and it just isn’t feasible for us to bill all those tenants directly. If we did this, we would have to raise our rates considerably to pay for the extra man power to stay on top of all that billing. Generally speaking we believe that apartment complexes should not bill their tenants for pest control services. This may sound like a good idea, but most of the time we have seen that this leads to unhappy tenants, faster tenant turnover, tenants who do not report problems for fear of paying, and widespread pest control issues. We want to foster an atmosphere of reporting issues quickly so we can eliminate them. It almost always saves the property money in the end and makes tenants happier and therefore improves your bottom line. The pesticides we use are the best in the industry. They have all been approved for use in residences, commercial offices, restaurants, hospitals and even supermarkets. More important then what we use is how we use the products we have. We always read and follow the product labels so you and your family are kept safe. We do have a full organic line of products if you prefer. Should I leave the house while its being treated? Do I have to sign a contract for a full year? Are all pest control companies' services the same?